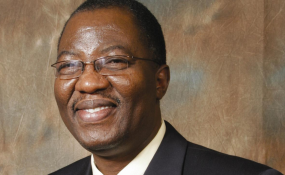 Barely 24 hours after he announced he was quitting partisan politics, a former governor of Ogun, Otunba Gbenga Daniel, on Sunday said that he was considering joining the ruling All Progressive Congress. (APC). Daniel had on Saturday resigned from the Peoples Democratic Party (PDP), saying he was quitting politics. The News Agency of Nigeria (NAN) reports that the former governor had in a March 14 letter to the PDP National Chairman, Uche Secondus, announced his decision to quit partisan politics. Daniel who had served as the Director-General of the campaign team of Atiku Abubakar, the flagbearer of the PDP in the February 23 presidential election, had hinged his decision on "personal" reasons. Daniel's loyalists at a meeting with him on Sunday, however, kicked against his decision to quit politics. Earlier, Daniel at the meeting had officially announced to his supporters that he had completed his assignment regarding Ogun and Nigerian politics and had decided to quit "when the ovation is loudest'. "Basically, they said I could resign from PDP. "They said I must lead them to APC and also said I cannot retire from politics, that is the summary of what I heard," he said. When asked on the next line of action, Daniel said; "now, I have to take a look at it". "What else can I say? My people have spoken," he said.